This is our insider guide to the best free things to do in New York City. You don’t always have to drop serious amounts of cash when checking the highlights of NYC off of your list, there are some amazing activities that you can do without spending a penny. These attractions will all leave you wondering why they are free and content with your choice of finding a smart and cheap way to explore the city. 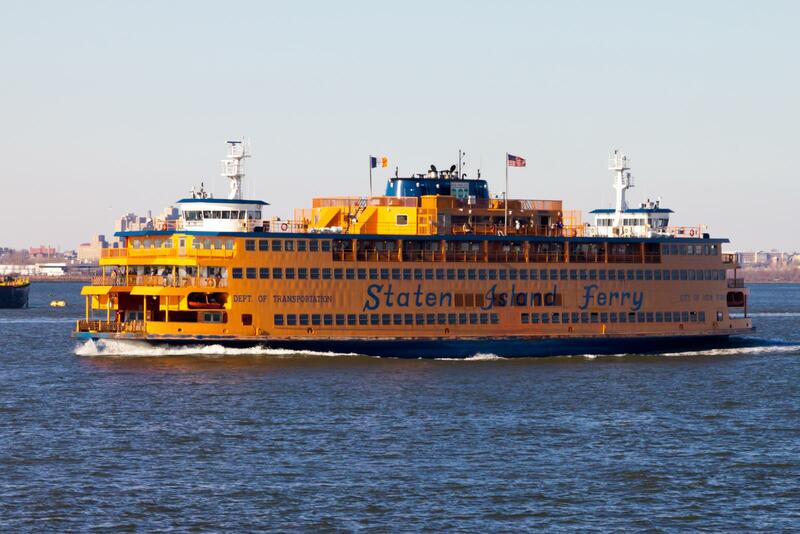 One of the most popular tourist attractions is the Staten Island Ferry, which goes back and forth between the southern tip of Manhattan and Staten Island. 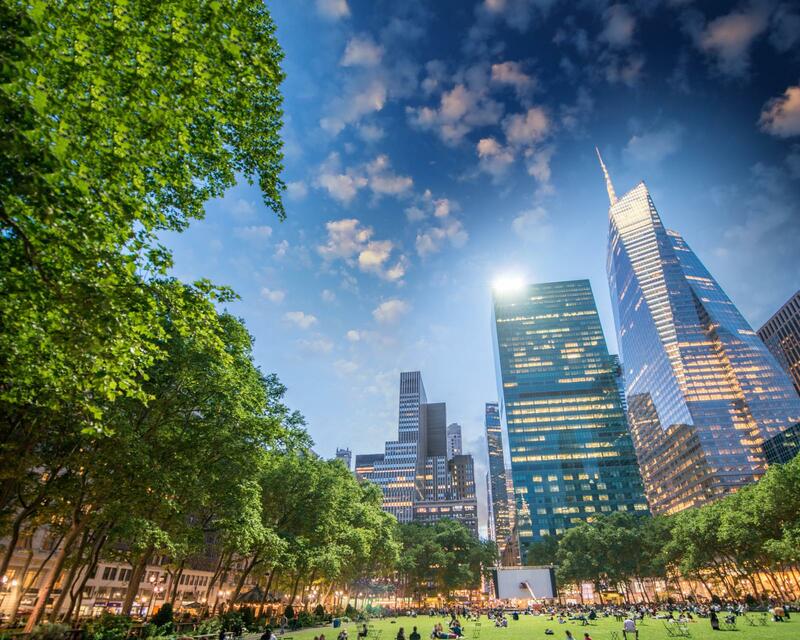 It’s a must on our list of the free things to do in New York City. The view from the ferry is absolutely spectacular and is the same as you would get on many paid cruises! It’s a great way to see the Statue of Liberty for free! The open-air cinema behind the Public Library in Bryant Park is a great experience if you are in NYC during the summer. Films are shown every Monday night for free, just remember to bring some snacks and drinks! Going to this event will make you feel like a real New Yorker as a nice cross section of society is represented here: young families, friends, and older couples. The turnout is always great so make sure to check the schedule online and arrive early to grab a good spot. At Ground Zero the 9/11 memorial is a great place for quiet reflection. 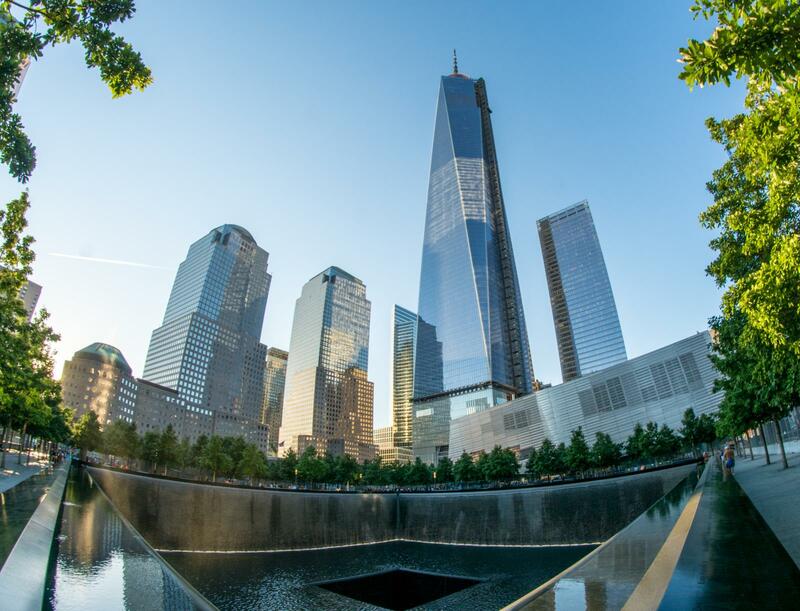 Where the Twin Towers once stood, two pools have been built in their footprints, bearing engraved names of all the victims of the attack. 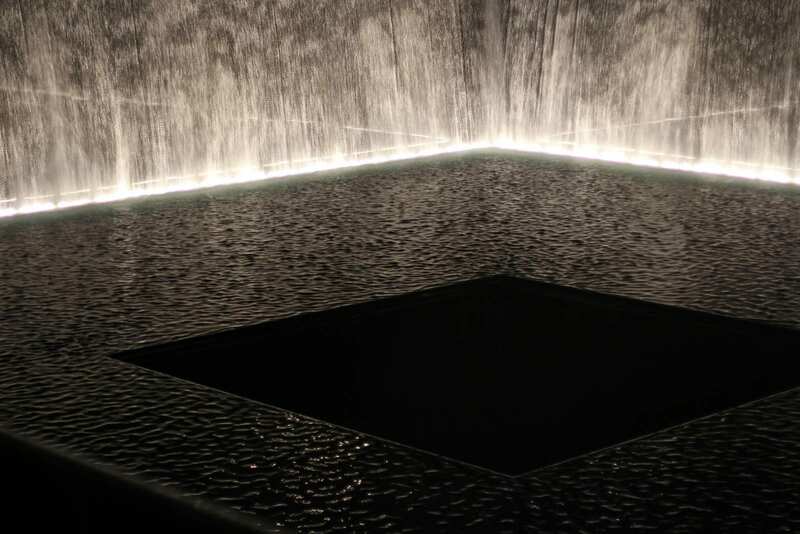 This beautiful tribute to the nearly 3000 people who lost their lives was named Reflecting Absence by its designers, which fits perfectly with the sense of calm that the National September 11 memorial brings over its visitors. One World Trade Center is just a few meters away and, while not for free, provides some of the best views of the city. The pools of the memorial look particularly spectacular at night when the lights behind the waterfalls make the whole area glow in a golden yellow light. 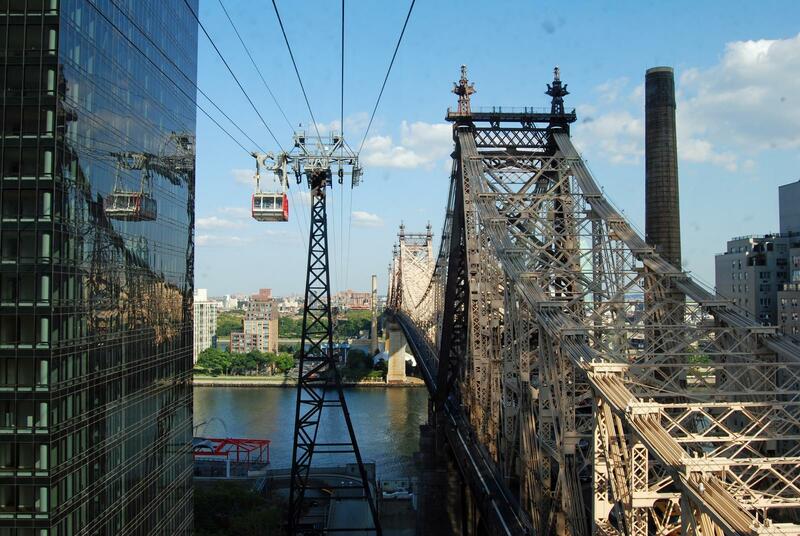 The Roosevelt Island Tramway is an aerial tramway that spans the East River. 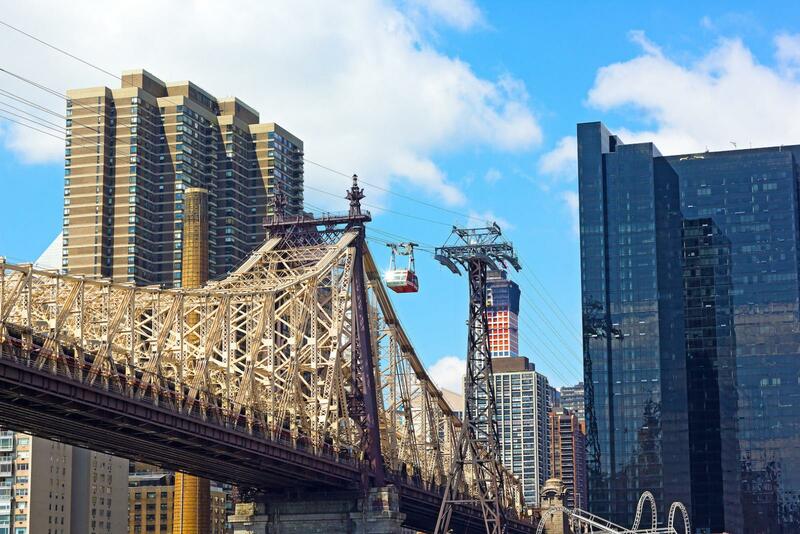 At a height of 80 meters, you can enjoy fantastic views across the East River towards Downtown and Uptown Manhattan. This is a special and often unknown attraction, but definitely worth a visit. 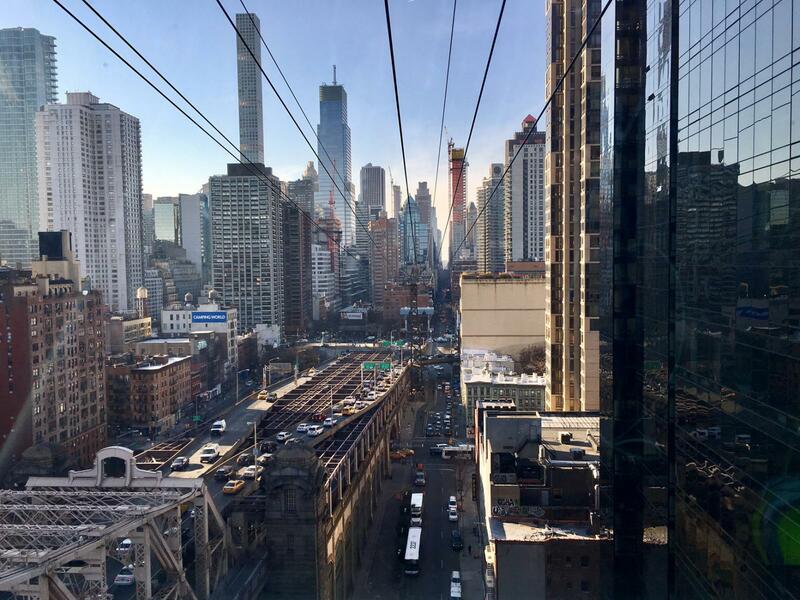 While it is not completely free (the only one on this list we promise), you can take a ride on it with your regular MetroCard. 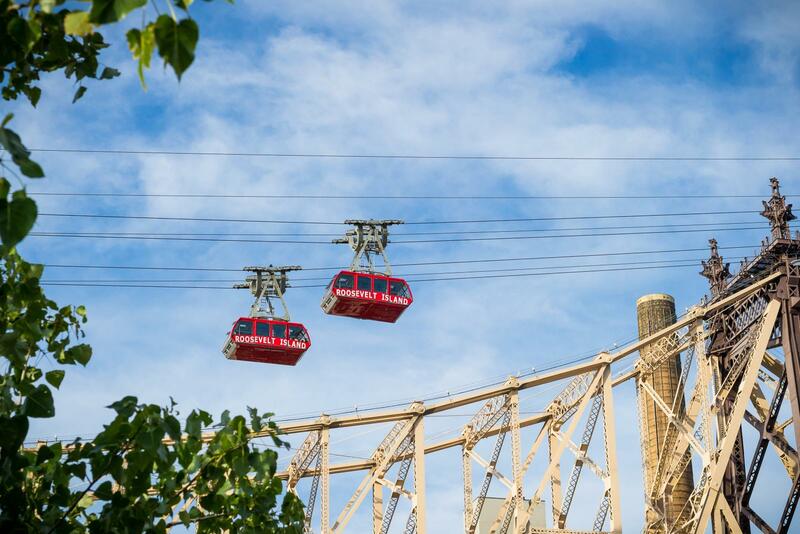 This means it will cost you the same as one ride on the subway – this is definitely a superior way to travel! If you purchased a 7 Day Unlimited MetroCard however, then yes – the ride will be completely free for you! It is one of the most renowned, most beautiful bridges in the world and is a structure that everyone immediately associates with New York. 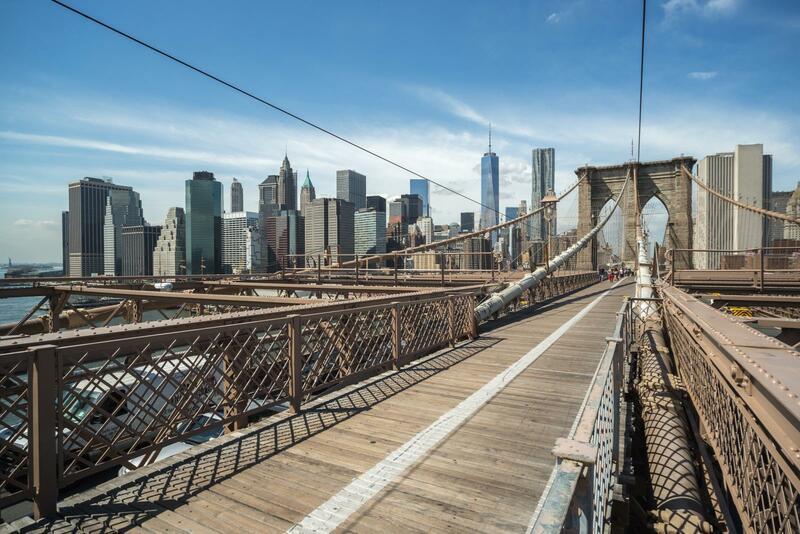 The Brooklyn Bridge was once the longest suspension bridge ever built and was far ahead of its time when it was built to connect Brooklyn and New York City. 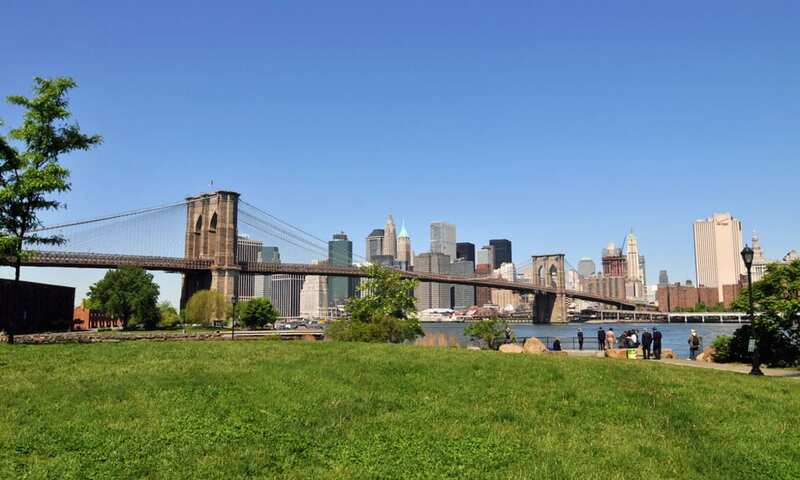 At the time Brooklyn was even considered as a separate city and not a borough of New York City. A walk across the bridge will give you some amazing views of NYC, especially at dusk when the lights across the river begin to sparkle. If the 1.1 mile walk is too long for you, you can grab a city bike near by and get across in half the time. Directly beneath the Brooklyn Bridge is where the Brooklyn Bridge Park begins. Just like Brooklyn Heights, you can get some stunning views of the Manhattan skyline from here. And for the athletes among you, I highly recommend a jog through the park – the air is crisp from the river breeze and the sense of freedom you get from looking over at Manhattan is brilliant. 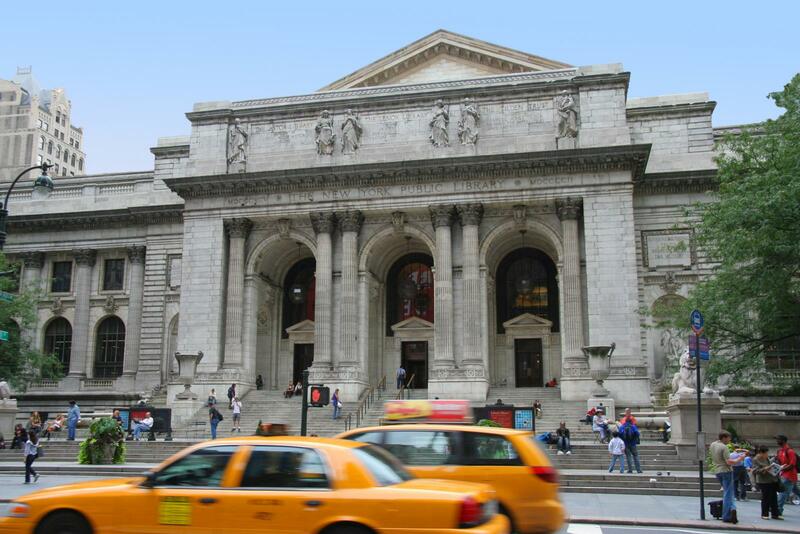 The New York Public Library in the center of Manhattan contains over 53 million items and is with this the largest public library in the United States. 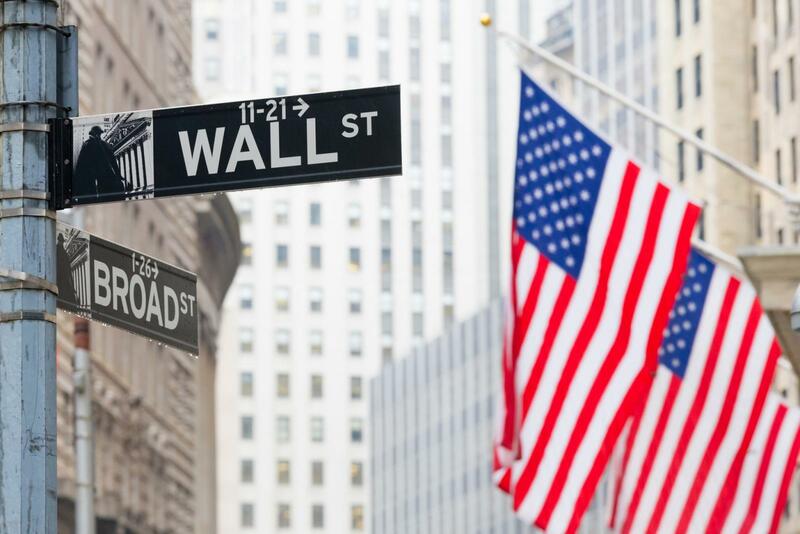 You will find it at the corner of 42nd Street and 5th Avenue, right next to Bryant Park. It is a quiet place and its silence is a great contrast to the city noise outside. As soon as you enter through the front doors the honking and people from outside grow quiet and a great sense of calm will wash over you. This is definitely worth a visit! 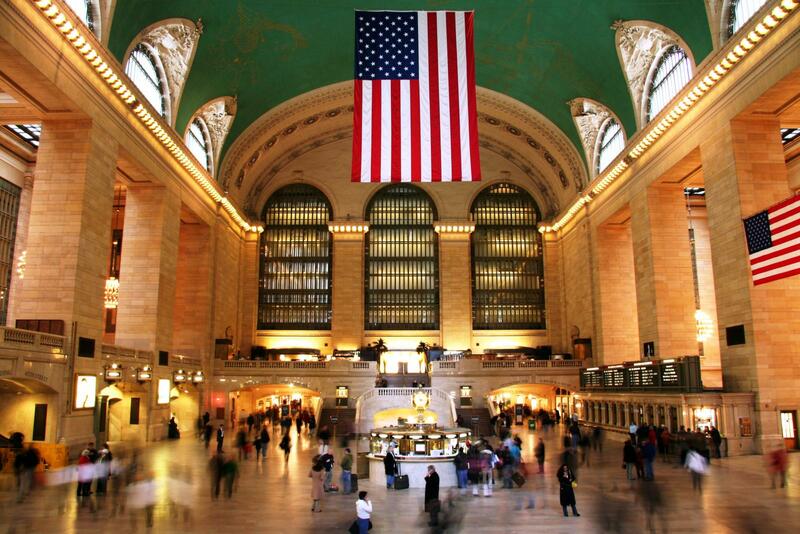 Grand Central Terminal is the largest train station in the world and the busiest building in New York. 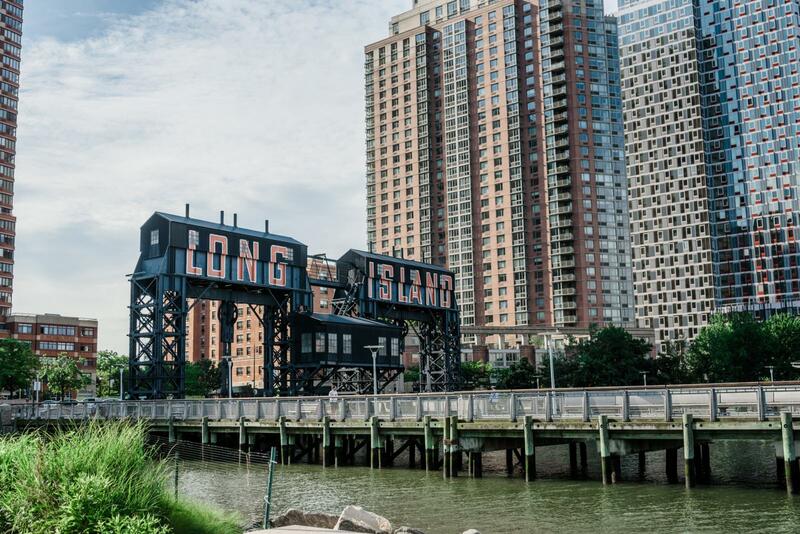 More people pass through here per day than through the Empire State Building, the Statue of Liberty, and Rockefeller Center! This is definitely worth a visit, you will have seen the station used as a set in many films but walking through Grand Central is a great experience you shouldn’t miss out on. Did you know: The painting on the ceiling of the main concourse, depicting the stars, is reversed – the painter held the map the wrong way! 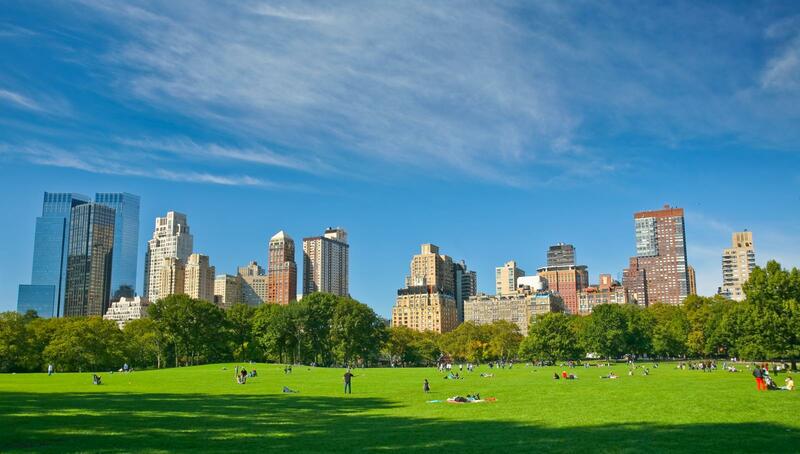 Central Park which is 340 hectares in size, is a popular meeting place for New Yorkers. 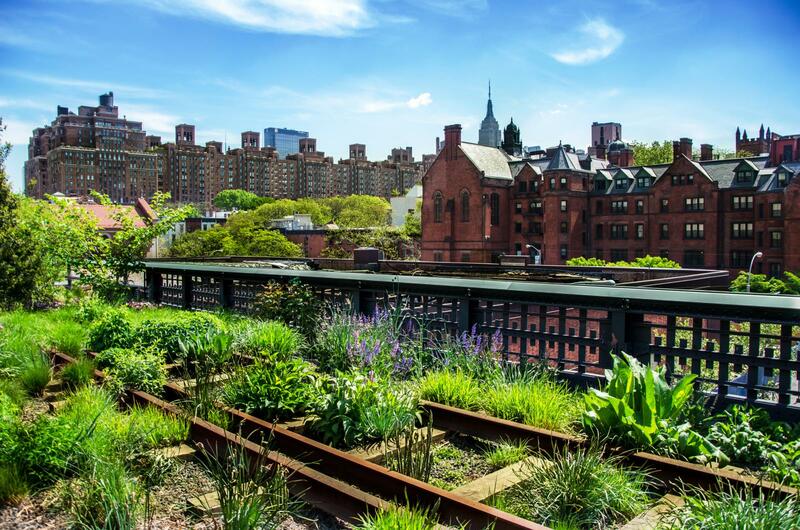 New York’s back garden gets over 25 million visitors a year and the man-made idyll is not just a magnet for tourists. Once you take a walk through it at any time of year you will understand the attraction so many people feel to it. The contrast of the green against the concrete jungle that was built around it is something you need to experience. High Line Park is located on the west side of Manhattan. 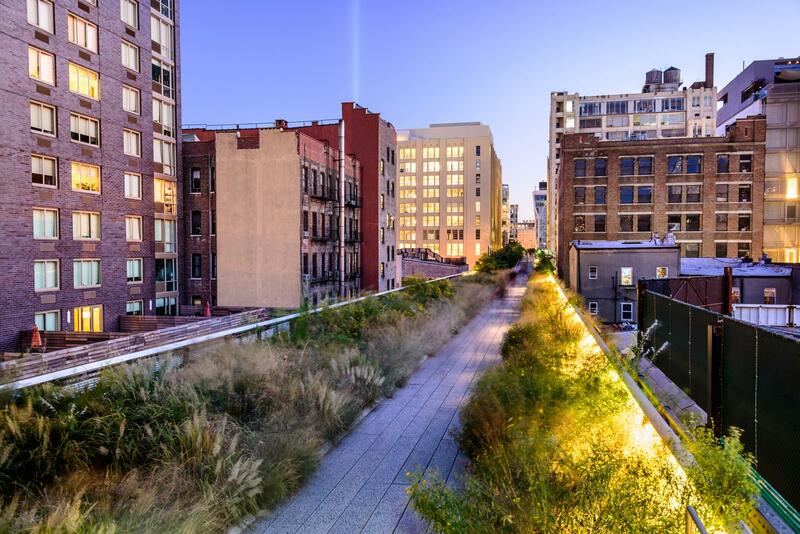 It runs from Gansevoort Street (where you can find the wonderful Hotel “Gansevoort”) to 34th Street between 10th and 11th Avenues. The park is beautiful at anytime of day but visiting when it is slightly empty is a great experience! 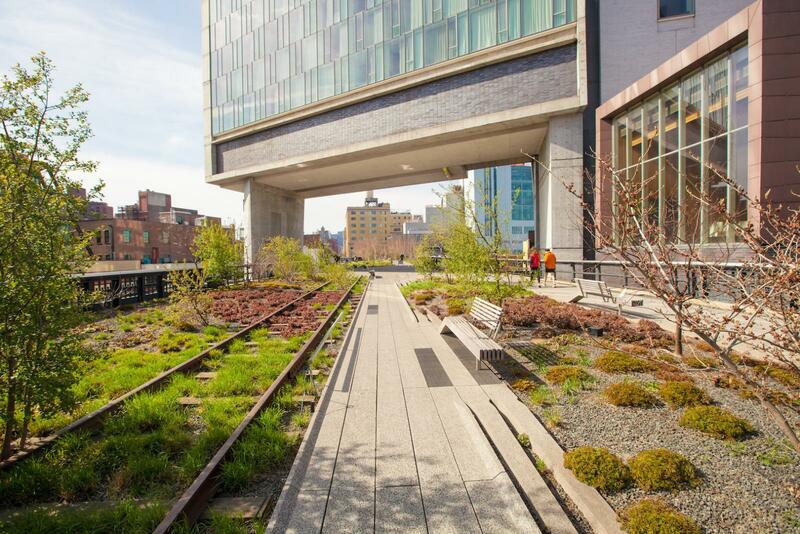 The park is styled after the overgrown train track that it once was making it a truly special experience removed from the hustle and bustle underneath at street level. Unfortunately, not all New York attractions are free! Some highlights, such as the Empire State Building, Top of the Rock, many museums and more require tickets. If you would like to save up to 60% on admissions, we highly recommend purchasing a sightseeing pass!